Webb Air Conditioning would be pleased to know your feedback about how we are doing in the business. Let us know your comments and suggestions from Arlington, TX and other nearby areas for us to serve you better. Rest assured that we will continue to offer nothing but the best customer service to satisfy your needs. Brandon came on time and was professional and courteous. He did a great job! Thank you for the five star review and your loyalty. I feel Jason did a very thorough inspection on our system. He spent needed time to explain why I need adjustment to system. Jason is an Outstanding Service Provider! As usual, Jason does such a thorough job and truly CARES about his customer which is highly appreciated! This was evident when I first purchased my heat pump system last January. The installers did a good job, he said, but he noticed they put in the WRONG thermostat!! Jason could've easily ignored that in his inspection but corrected it. He also explains everything about the servicing that was done, answers any questions, never rushes through (which is SO great & rare these days). I'm just so amazed on how thorough -- AND professional -- he is! Brandon is extremely grateful for the kind words and great review. We will make a note to have him assigned to you in the future. once the knowledgable arrived thigs move quickly!!! Jason was very professional and friendly! He took time to explain everything and answered all my questions. A C Technician was very experienced and great at explaining in layman’s terms want he would be doing to correct the problem. He finished earlier than expected and showed me the part that was replaced. He was very cordial! Preformed maintenance on multiple systems for maintenance customer. 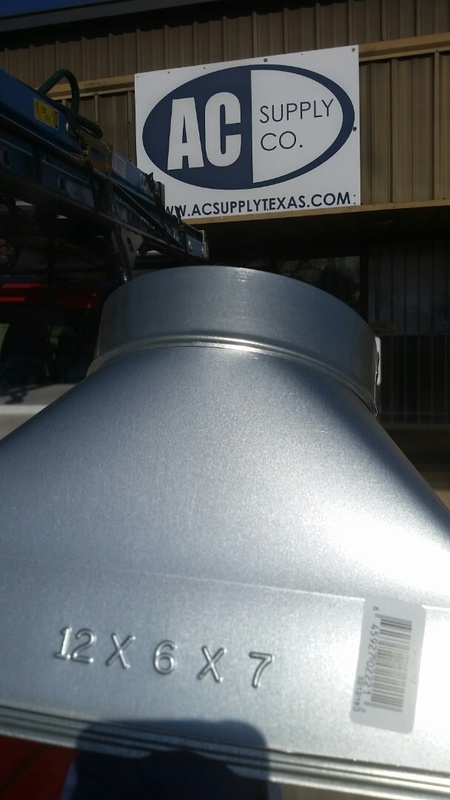 Picking up ductwork supplies at AC Supply Co. in Arlington. Replaced blower motor in gas furnace.